Konstantin Rodko was an influential Latvian-American painter throughout the latter half of the twentieth century, known largely for his contributions to the American folk art tradition. This collection of notecards immortalizes his work and carries with it the joy and hope of the Christmas holiday. 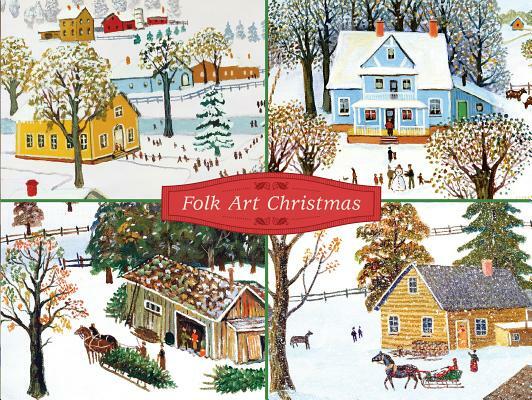 Each Folk Art Christmas Deluxe Notecard Collection includes four different charming scenes of communities and landscapes blanketed by winter, with 24 cards in total. Interior greetings read: "Season's Greetings," "Warm Holiday Wishes," "Merry Christmas," and "'Tis the Season."